I was in a grumpy cleaning funk. I had been cleaning up the rest of the Halloween stuff all day, and was just tired and exhausted. Faye has been on one for the past few days. She has been screaming and stomping and slamming doors for the past little while. I really don't know what to do with her. By the time Jeffrey gets home, I am completely exhausted and worn out from the little she-devil. It was a morning of chaos. I get so tired from her. I want to pull my hair out, or lock her in a rubber room. Anything to stay sane for the rest of the day. I had a can of pumpkin burning a hole in my refrigerator (like burning a hole in my pocket. Get it? ), and I couldn't handle it anymore. After I cleaned up Halloween the rest of the way, I busted out the can of pumpkin and a box of spice cake mix and went to town. Pumpkin cookies. 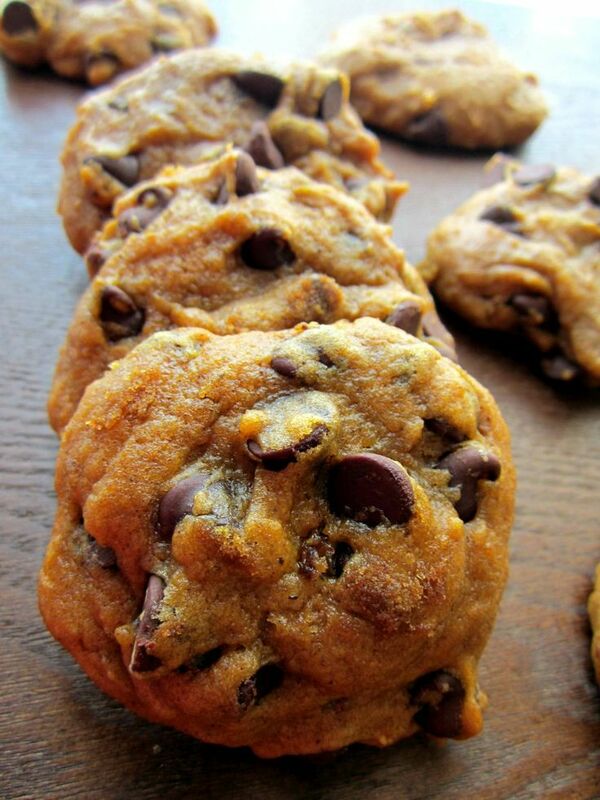 Because anything with pumpkin in it is so much better, and cookies are always good. So Faye and I whipped up a batch. The kids were excited to eat the cookies and I was excited to let the smell permeate my house. Because seriously, yum! The smell had calmed me down and the promise of sugar seemed to be exactly what Faye needed. Or bribery works. One of the two. We baked the cookies and listened to music, and the golden hour sunlight waterfalled through the kitchen windows. It seemed to be some sort of a cure. It was simply lovely. Cookies are magic, I tell you. And then I had a presidency meeting. I love the ladies I get to work with. We talk and laugh and bond over our concern for the kids. They are amazing with coming up with solutions for seemingly impossible situations. I just love them. And in that meeting I was ridiculously overwhelmed with gratitude for my friends who help me with the primary. And that is my gratitude for today. I am thankful for wonderful people who have the fire of their callings lit within them. People who go above and beyond and are so full of love for everyone they serve despite a cloud of apathy which seems to permeate the area where we live. As for yesterday, it was a tough day. Faye, you know. She is wonderful and such a trial to me. It was a day. A whole lot of cleaning and being tired like usual. And then my knight in shining armor came and rescued me. Yesterday I was so thankful for my amazing husband. He was tired, but he knew I was tired and so he let me take a nap as soon as he got home from work. He watched the kids while I slept and he didn't even complain about it once. What a great guy! I am really enjoying this month of gratitude thing. It is true what they say, gratitude makes happiness.